Yui, Thailand's international TV chef, and her husband, Kwan,a former graphic designer are the creative engines running A lot of Thai home cooking class. Established in 2001, A lot of Thai began with a small class size. Even though their business has seen tremendous growth, Yui and Kwan have decided that this small class size maintains the personalization and individual attention that each student deserves. The success of their growth can partly be attributed to the power of "word of mouth" publicity. Although Yui is highly skilled and very accomplished, her intent is not to show off her skills, but rather to humbly teach concepts of cooking. Her unique blend of art and science truly make cooking exciting, fun, and easy to follow. When students cook these delicious dishes in class, they are equipped with the skills and knowledge to be able to recreate these dishes at home. Yui began teaching Thai cooking in 1999. Now a day, she still teach every dish in every class by herself to guarantee the highest quality of instruction. 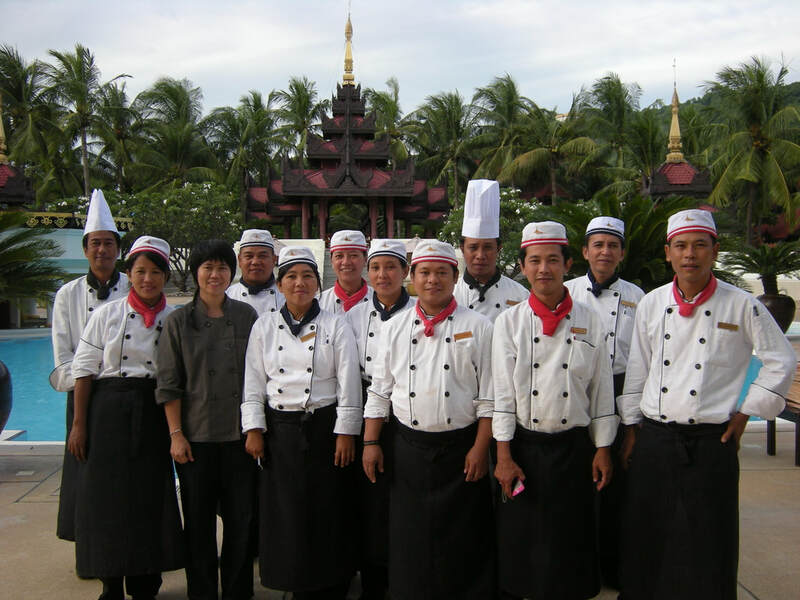 Her expertise attracts a variety of students such as, TV chefs, Executive chefs, culinary school teachers, International Thai cooking instructors, Food columnists, Cookbook authors, tourists, and food lovers. Eat and Travel weekly, H.K. There are so many details that make us different.